Buy at the former Saxony, a 1948 landmark hotel, sitting at the epicenter of an exciting $550 million revitalization on Miami’s Collins Avenue. 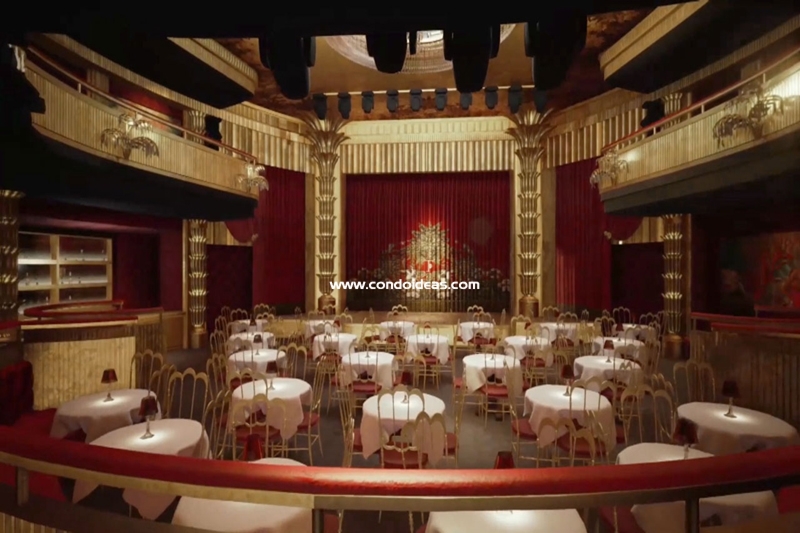 The Hotel is from now on rebranded as the Faena Saxony Hotel and Spa. It will soon be joined by a 16-story condo tower that promises to set a new bar for design and opulence: the Fanea House. These two elements will be a part of the Faena district, a thoughtfully conceived and executed neighborhood. 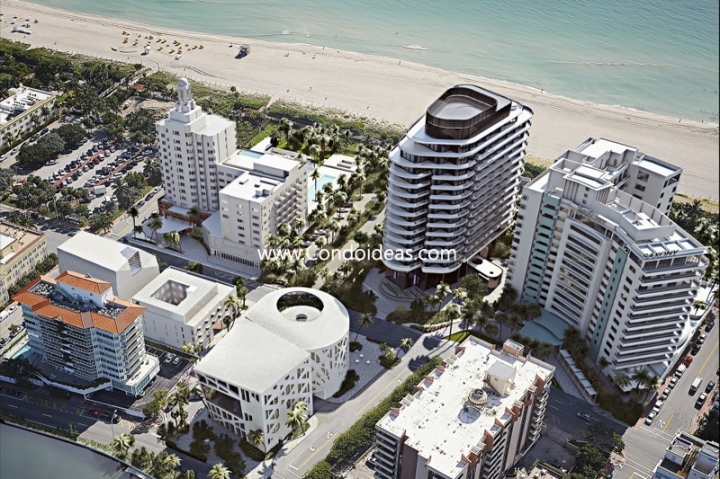 In this neighborhood you will also find a Faena arts center, a Fanea Bazaar and a Fanea Park. Developer Alan Faena, perhaps best known for his revitalization of Buenos Aires’ Puerto Madero port district, has recognized Miami as a home from home for Argentineans, Brazilians and Mexicans and a perfect venue for his high-art creativity. 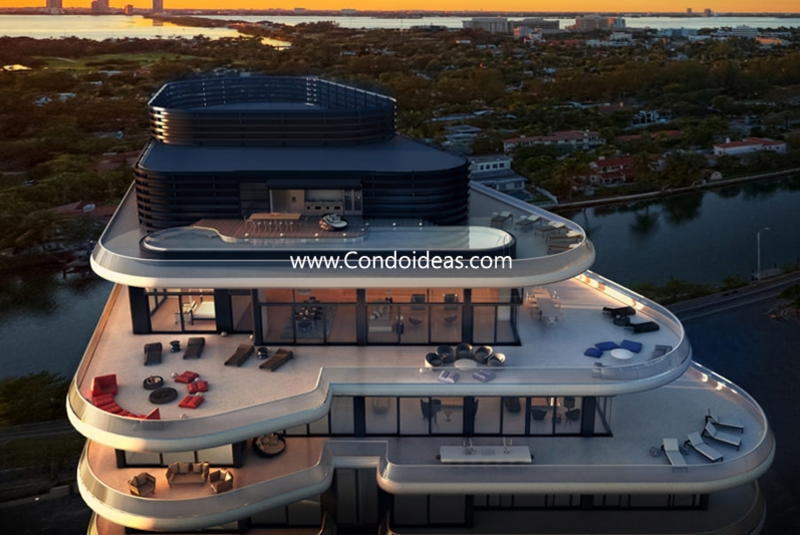 His vision for Collins Avenue includes further developments on neighboring properties that will engage some of the most creative design teams in the world. For the Faena House, the developer has teamed with one of the most dynamic and busy architects in the world, Sir Norman Foster. Foster, who is responsible for the glass pickle-shaped tower in London affectionately labeled the “Gherkin” and who is currently at work on Two World Trade Center in New York, as envisioned the new Faena tower as a tapering oblong tower floating on thin columns above a lily pond and gardens designed by Miami’s Raymond Jungles. 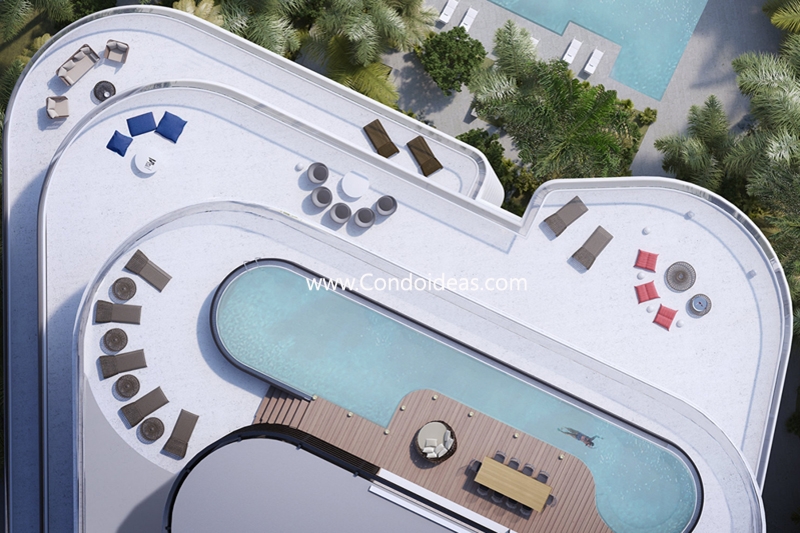 The Faena addition, with its rounded terraces, is designed to create maximum shade from the sun and minimal wind resistance, a result of high-tech engineering inspiring design. Made to complement the mid-century Saxony, the new tower harkens back to Art Deco and Moderne designs that once defined Miami while setting a new design protocol for South Beach. 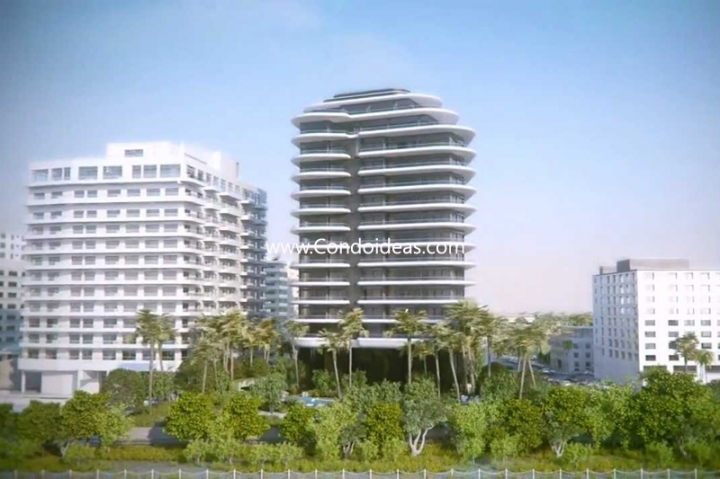 Amenities of the Faena are to include restaurants, a full-range spa, a state-of-the- art fitness center and, in the Saxony hotel tower, an exclusive owner’s lobby. 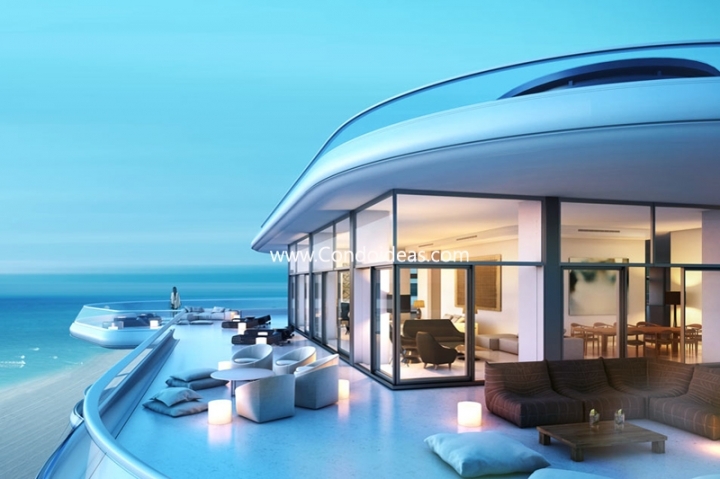 Views from generously proportioned terraces take in wide panoramas of the Ocean, Biscayne Bay and downtown Miami. Residences in the hotel tower are replete with top-of-the-line furnishings, including full kitchens with Poggenpohl wood cabinetry accented with Miele, Bosch and Fisher & Paykel appliances. Baths feature Jado vanities and shower sets. Wood fronts and granite vanity tops complement the bath’s rich appointments. 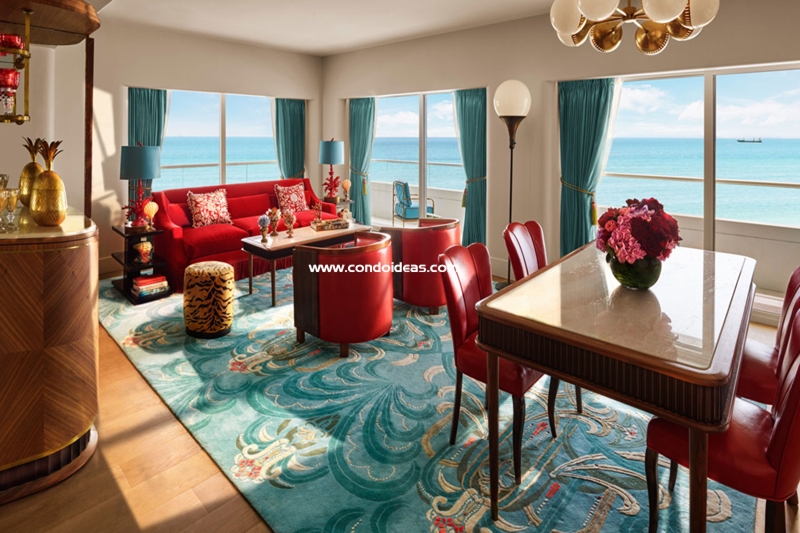 The Faena house only adds to the desirability of Collins Avenue as a prime launch pad for taking in all that the Miami environment has to offer. 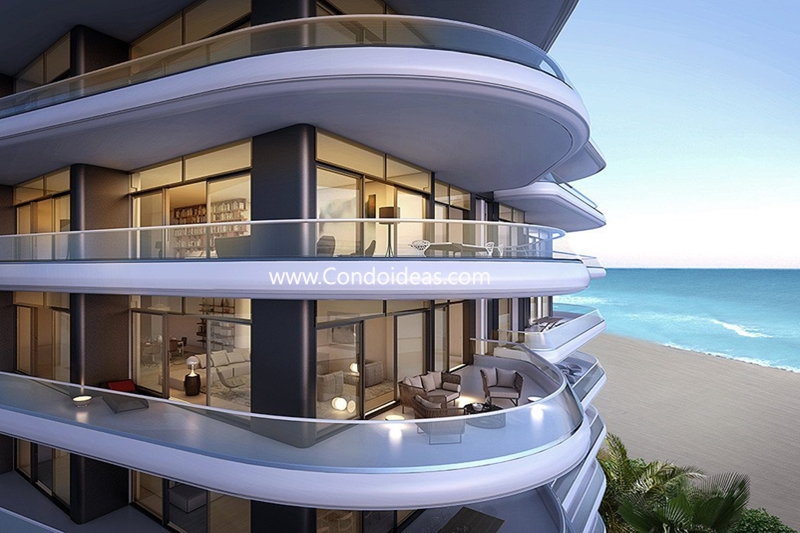 The future is happening at this, the next stage in condominium design. 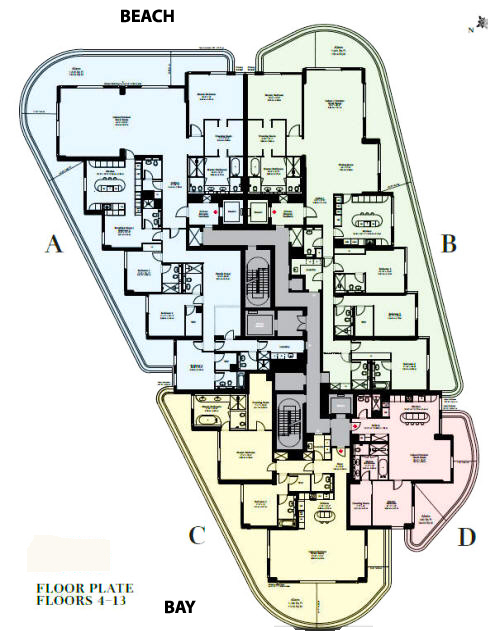 Take a look at the 1 Hotel and Residences an amazing building in the same area.